If you’re in the market for a new vehicle, first you’ll need to decide which make is going to best suit your lifestyle. Although you have a lot of options between GMC, Dodge, Ram, Jeep, and more, how are you to decide? Well, if you’re looking for a vehicle that truly revolutionizes the driving experience, you may want to consider purchasing a Toyota. Toyota vehicles are built to last with quality parts and materials. It’s no surprise that more and more customers are investing in these vehicles due to their longevity and reliability. If you’re considering a Toyota, but you’re not sure what model will be best for you, continue reading this article. Also, if you are looking for a Toyota in Cincinnati, we have some recommendations for you. There are a variety of options when it’s finally time to purchase your next Toyota, and it can be difficult to decide on which one will be the best fit for you and for your needs. That being said, we’re here to help. Each Toyota model has specific and unique capabilities and specifications that set it apart from the rest. Identifying what is important to you in a vehicle will help you choose the vehicle that will make you happy for years to come. Ultimately, its safe to say that you’ll want a vehicle that has everything that you’re looking for. Thankfully, Toyota offers a variety of packages that you can add on to the overall price of your vehicle. These packages will ensure that you get the specifications that you want and/or need in a vehicle. Read on to find out which vehicle is right for you. These are just a few of the perks you’ll find in the Toyota Corolla. If you’ve been looking into the Toyota Corolla, take some time today to go test drive one! You’ll be glad that you did. Although the Toyota Tacoma can offer much more than the aforementioned features, this should provide you with a general understanding of the wonderful driving experience that you’ll get with the Toyota Tacoma. There are so many great reasons to drive a Toyota RAV4, but we think that the aforementioned specs are some of the best. 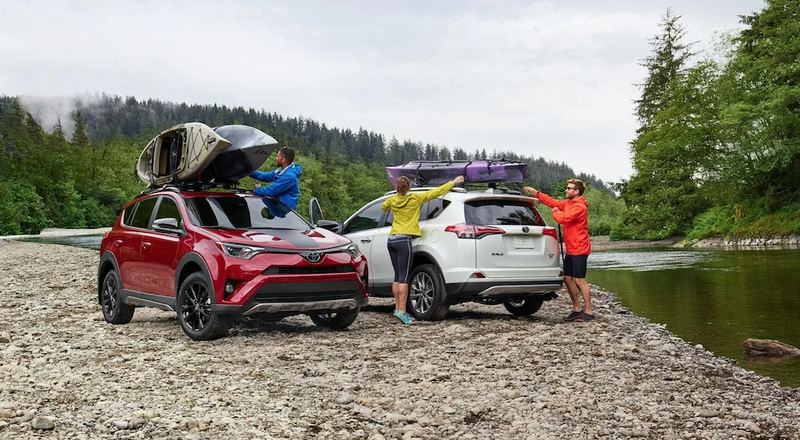 If you’re looking for a mid-sized option that is reliable and safe, but still modern and trendy, the RAV4 is a great option. The Toyota Sienna is a vehicle that everyone could benefit from in one way or another. Although some may not need the excess space that’s offered, most could always use a little bit of extra room for passengers or cargo. The Toyota Sienna is a vehicle that will provide you with everything that you need, including reliability and safety. Although it can be difficult to choose the right Toyota in Cincinnati for you, it can be done. After exploring the options provided by the Corolla, the Tacoma, the RAV4, and the Sienna, you should have some idea of which would best suit your lifestyle and needs. There are other options available as well, so if you’re not sold on any of the four vehicles that mentioned here, we suggest checking out your local Toyota dealership. 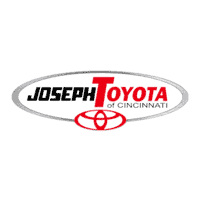 If you’ve decided to purchase a Toyota in Cincinnati but you’re not sure where the most reliable dealership is, drive on over to Joseph Toyota. We are conveniently located at 9101 Colerain Ave, where you’ll be able to find all of the best new and used Toyota models. If you’re interested in test driving, or you know exactly which model you want, we’ll be able to help you. We’ve helped thousands of customers with their car-buying needs and we’ll gladly work with you as well. Toyota’s a reliable brand and we stand behind them 100%. If you ever find yourself in a situation where you need service after purchasing your vehicle, we’ll be able to assist you with that as well. You can easily schedule your service appointment online, which will save you precious time to spend doing other, probably more important, things. Another thing that our customers love is the fact that we are constantly offering specials and sales on our vehicles. Why overpay with the dealership around the corner when you can pay the absolute lowest price on the vehicle that you’ve been dreaming about? We are experts and ready to help you with whatever you need. Come see what Joseph Toyota can do for you today! 0 comment(s) so far on Looking for a Reliable Vehicle in Cincinnati?